Patients lose teeth due to many reasons. Some are as a result of an injury where a blow to the face can involve teeth. In rare cases, a grownup permanent tooth might not have erupted, and the surviving ‘infant’ tooth may fracture from over-function. This naturally involves discussion of options with the individual. Factors like the cost of therapy, the state of the surrounding enamel, gum and bone tissue are necessary. Additionally, there are some situations where general impracticality for dental reasons may preclude many options. A viable choice may be to leave the space simply. In some cases, cost and alternative exceptions may promote this selection. For most, replacing a missing front tooth possess a greater sense of urgency than a non-visible jagged tooth. Depending on the location of the tooth, or missing teeth, the choices take a different path for replacing missing teeth. Let’s discuss a single lost tooth. One choice is a bridge between the tooth on either side and dummy tooth to replace the missing tooth. In a bridge that the teeth on either side of the missing tooth are prepared, the teeth are ‘stained’ using the dental handpiece and probably a diamond embedded preparation burr. The prepared teeth could be considered as almost miniatures of their original teeth. Nevertheless, the prepared teeth are formed to ensure a crown molding in the laboratory, can be slipped over the remaining structure. There are considerable care and expertise required to produce a good final crown preparation by both the dentist and the laboratory. The margin should be placed into the gum for cleanliness and appearance; the preparation should not be too deep to avoid the nerve. In some cases, a root canal therapy is required to ensure appropriate retention of a crown. 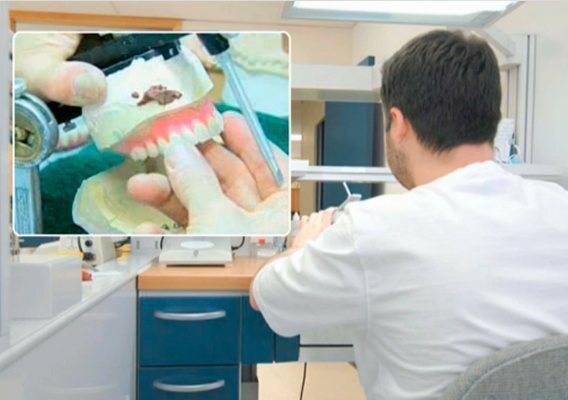 This involves removing tooth nerve tissues along with a build-up of the missing structure with one of the polymer materials. The biting surface ought to be reduced sufficiently to enable the lab enough depth on the biting surface on which the enamel is built up. 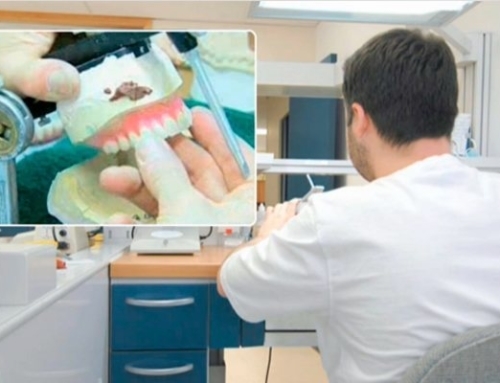 A precise impression is made of the prepared tooth/teeth. Dental materials provide a consistent precision and reproduction of the tooth structure. The impression is poured, and the lab utilizes the design as a foundation for the new crown. A lab-made bridge or crown is ‘cemented ‘ about the prepared tooth/teeth with a solid biologically neutral cementing material. Patients are carefully educated in the care of their new teeth. Even an excellent crown may have a vulnerable margin for intraoral decay. Some cases can be very successful using dental implants. Sometimes there may be a demand for bone augmentation, even whenever there isn’t enough staying bone to secure an implant. Some dentists do their surgery; however, many like to refer to specialists such as periodontists (gum experts) or oral surgeons. After the implant is secure in the tissue, (a time frame of several weeks to almost a year for challenging cases) the individual comes in for the impression. It is comparable to the average crown impression, but additional elements are required. In a healing implant, the surgeon puts what is known as a “healing dealing.” This looks like the top portion of a golf tee sitting and attached to the implant. It is in fact screwed into the implant. In the impression appointment, the healing coping is unscrewed, and a part known as the impression coping is placed in the implant. The target is to have an impression of this coping, the impression material is injected along with the tray holding the material has an opening so whenever the impression material sets, the coping may be unscrewed. The implant has a ‘key’ to the top opening, and the impression coping fits into this. This ensures an accurate placement of the last crown. The position of the implant crown in the laboratory and the patient are very accurately determined. This can be transferred to a laboratory where the job of the implant, comparative to other teeth at the patient, can be assigned to a poured impression. The lab then makes an impression to maintain a crown. When the last crown and impression are returned to the clinic, the dentist enters the final stage. The healing coping is again unscrewed, and the tooth replacement dealing is screwed into the implant. The enamel coping has “keys” that correspond to the job of the laboratory work. These are lined up, the coping tightened and an x-ray decides if it is correctly seated. Afterward, a ‘ratchet’ kind wrench covers the crown portion is tightly seated. Afterward, the crown is ‘cemented’ in a similar manner to the crown onto a natural tooth. 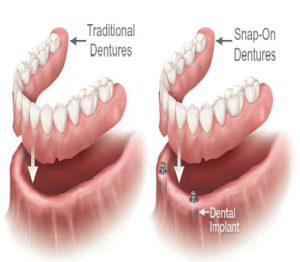 An advantage of replacing missing teeth with implants is that natural tooth structure is not reduced. Therefore they tend to survive more than natural teeth which weaken over time. However, a large impediment is the increased cost of an implant. The surgery, laboratory fees and also the crown portion can be over many three-unit bridges. 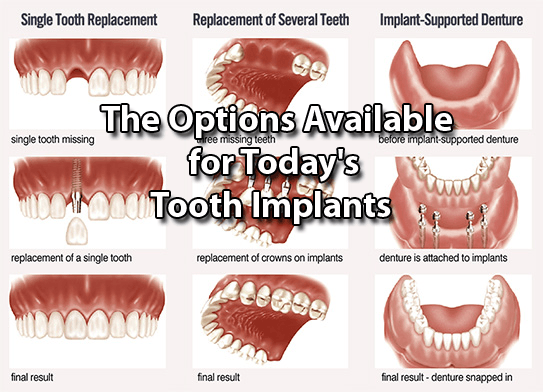 Some insurance companies do not cover dental implants for replacing missing teeth. Determine this, with your dentist, before proceeding. Other options can include dentures. These come in two forms, one is all plastic, and another had a lightweight cast metal framework. The latter is much more retentive and will last longer. But again cost can be a factor, and many patients opt for the plastic variety. Unlike bridges or crowns, they are removed for brushing or sleeping. A partial denture is a thin cast frame which has teeth replacing missing teeth. It either crosses the palate at upper dentures or runs across the lower interior jaw. On the biting surface of the teeth, there is a depression made from the surface; this keeps the partial frame under conditions where a patient chews. As well both kinds have clasps that operate like half rings round a tooth. They keep the dentures. In the majority of situations where there’s solid tooth structure, patients have normal function in addition to a fantastic appearance. The well-prepared partial dentures are such that they restore lost tooth function by replacing missing teeth. A complete denture is when all teeth are eliminated for whatever reasons. The full upper denture covered the palate and when well fitted it has a suction-like retention and most patients have a good experience with full set dentures. Lower dentures are a little more of a struggle. If you lose lower teeth, the bone around the teeth may regress. That is, it essentially shrinks and nearly disappears. On the top arch, there is enough underlying bone not to make this a sensitive issue. But, in the lower arch, the ridge can be quite awkward and flat. 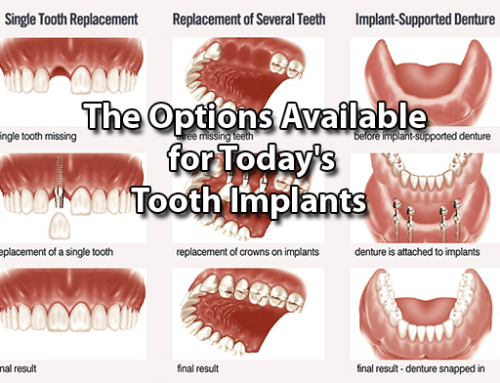 Nowadays many patients have implants placed to help retain lower dentures. 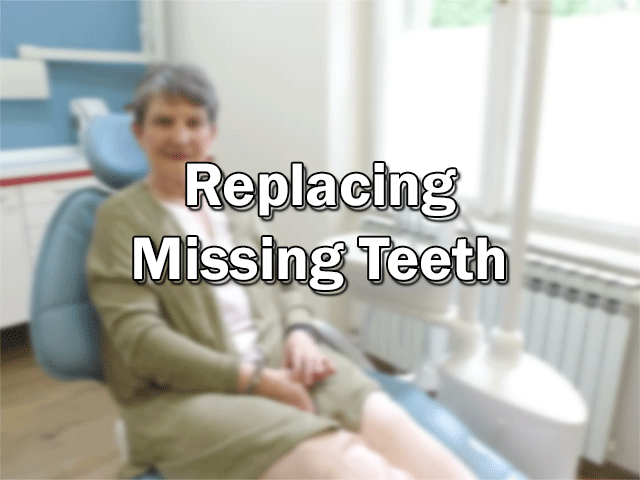 These will make an excellent functional difference for replacing missing teeth. The alternatives for tooth replacement depend on the number of teeth and their positioning in the arches, the overall oral and general health of the individual, and budgetary considerations. If you end up in such a situation in which you need to replace a component of the dentition, it might involve asking friends and acquaintances of the achievement in this region. Request a consultation, an appraisal and a quote of the charges. It’s also a fantastic idea to seek a second or even a third or more opinion. If you are insured, consult with your dental specialist before you start so that you know your options. Don’t go by charges alone, try to evaluate what you feel about the dentist and the office. Dentistry does provide many fantastic options, so there is no need to have less than you believe you deserve. 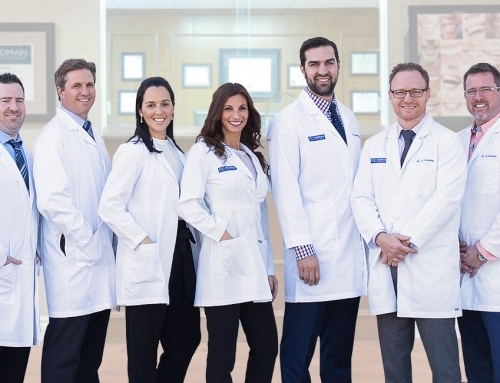 As dentists that have been fortunate enough to have practiced with some leading experts, Friedman Dental Group looks forward to supplying the very best treatment possible. Replacement of lost teeth requires consideration of both appearance and function. As well the essence of the patient is to be noted with considerable attention to their needs and desires, and limitations. Give us a call today to discover your options, 1-866-341-6395.